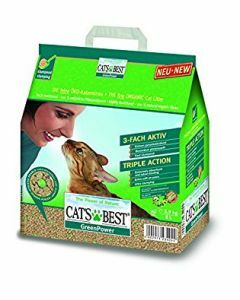 Cat’s Best is more effective than any other conventional clumping cat litter. It is 100% natural, has no chemical additives whatsoever, and is completely biodegradable. Apart from this, Cat’s Best is made from secondary raw wood material and no trees are felled to make this product. Now you get the best of world class cat litter without harming the environment. It has natural plant fiber capillary system which is very effective in retaining fluids and odors. 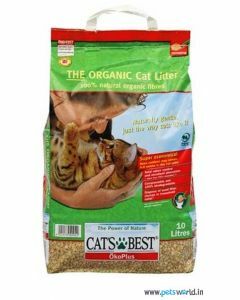 Cat’s Best is much more economical than many other cat litter options because it can be used more often. It is so effective in neutralizing the odor that the cat litter can remain in the litter tray for up to seven weeks, although it functions best if you regularly dispose of the excretions and clumps. The litter has no artificially added fragrances and has a very pleasant smell. 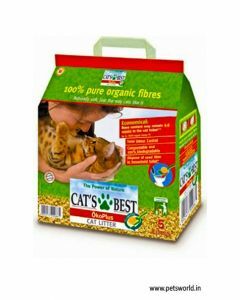 Cat’s Best is entirely natural and safe and will fulfill your cat’s needs appropriately. The product is sustainable and supports your cat’s hygiene, health and emotional well-being. Using Cat’s Best ensure that your cat gets the type of comfort and hygiene it prefers and it also saves you a lot of time and costs. Pets World offers this product to you so that you can provide the best comfort to your feline friend and provide a comfortable and hygienic living environment for her. 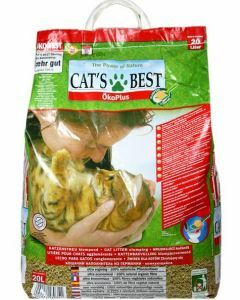 We offer Cat’s Best Clumping Cat Litter in 5 liters, 10 liters and 20 liters packs to give you options to choose from according to your cat’s needs. We make sure that these packs are available to you at a reasonable and pocket-friendly price to give you the best customer experience.